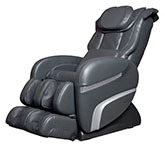 This NON-TRANSFERRABLE Warranty is provided by Osaki Massage Chairs. 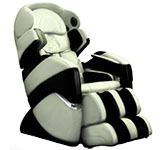 Osaki garrantees that your qualified product will be replaced or repaired at their option, without cost to you, should it be deemed defective because of faulty parts, workmanship or structural defects during the first THREE(3) years of ownership, excluding specific limitations contained herein. Parts and Labor is only available to most addresses in the Continental USA. Remote locations such as islands, Alaska, Hawaii, Puerto Rico and Canada will only be parts only. 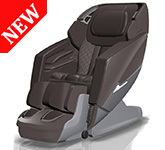 •This warranty explicitly covers all parts, labor and framework of the chair. •This warranty includes parts costs and labor for the first year at no cost to the customer. •This warranty includes parts costs covered for the second year at no cost to the customer. •Structural framework on selected products carries an additional one(1) year of warranty for a total three(3) years. •The Optional extended warranties include parts and labor costs covered at no cost to the customer. 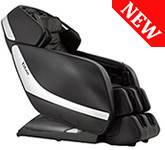 •This warranty does not include any shipping expenses incurred. •This warranty does not include normal wear and tear including velcro or zipper malfunction, or tears in any fabric covering by abuse. •The warranty shall not apply if the product has been damaged physically, whether intentionally or due accident or neglect: including stains, fluids, mold, water damage, animal damage, cuts, burns or is otherwise unsanitary, damaged or soiled. •For very remote and island addresses the factory warranty is for Parts only. Labor is not available to these locations. Examples are Alaska, Hawaii, Puerto Rico, Canada and any other international address. •Any implied warranties shall be limited to the duration of the 1 year portion of this limited warranty, and with regard to structural framework, limited to the duration of the 3 year portion of this limited warranty. 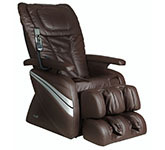 •By making a purchase, you agree that Osaki MassageChairs. will not be liable for any items damaged and/or lost while en route to the specified address. Any claims for such loss or damage must be addressed and resolved with the designated carrier. 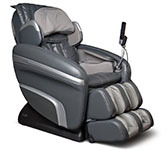 •In no case will Osaki MassageChairs. be liable for incidental or consequential damages, whether such damages are claimed on account of breach of warranty, breach of contract, negligence or strict/product liability, including without limitation, damage to property (other than the product) or other economic losses. •You must provide proof of purchase for any warranty claim. •You must obtain a return authorization number in order to ship products to a service center. 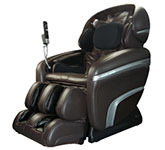 •You may obtain service advice, or an RMA number by contacting the Osaki MassageChair Customer Service department in your manual. •This warranty gives you specific legal rights. You may also have other rights that vary from state to state. 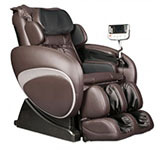 Refurbished and used Showroom Osaki Massage Chairs include a 90 Day factory Warranty. You can add an Extended Warranty on these chairs as well.